Snacking does indeed become the most fun activity in free time can certainly satisfy your tongue will taste sweet and salty flavors. But that makes these snacks consuming activities so avoided is because the flavor didn't want to stop so it can make the body fat. For those of you, who fear his weight up, will surely avoid snacking activities. There are many types of fruit chips on the market and you can buy them as an alternative choice of healthy snacks at leisure. You can also make it yourself at home. The way is, cut into thin pieces of fruit you want like bananas, kiwi, mango, or apple. Then put the pieces in the oven until they dry. 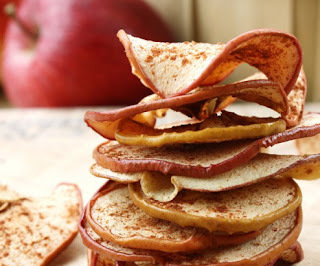 Its crispness as well as the natural sweetness of the fruit certainly makes you not stop snacking on these healthy snacks. 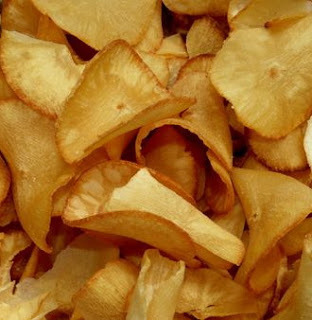 Vegetable chips should not be bought at the supermarket but you can also create your own vegetable chips at home. 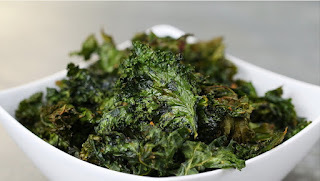 Try it with vegetables like Kale, carrots, and sweet potatoes. In order to get to make crisp and crunchy vegetables, cut into pieces as thin as possible. After that, rub with olive oil and add a variety of herbs to taste like salt, black pepper, garlic, or chili powder. Put it to the top of the baking dish and bake in oven until dry and crisp texture. 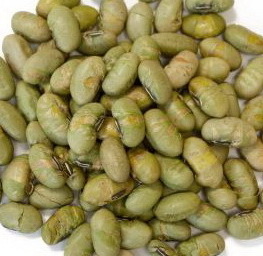 Edamame or commonly referred to as Japanese soybeans you can create into dried edamame ready to eat. Take the edamame seeds and give a little spice to add flavor then dry in the oven. Compared to ordinary soybeans, edamame has a million benefits for the body. The vitamin content can increase immunity, vegetable protein helps to build muscle, and fiber can facilitate digestion. Compared to potato chips, cassava chips much healthier. If you usually like snacking potato chip packaging, it might be worthwhile you switched to cassava chips that are less likely to make you fat. Cassava is very low in fat and has more protein when compared with potatoes. Satay vegetable and fruit very suitable for you who are busy and don't have time to cut the fruit or prepare it in the morning. Meat satay, as you only need to poke the vegetable and fruits with a skewer. Vegetables such as cherry tomatoes, lettuce, and paprika or fruits such as mango, pineapple, watermelon, and grapes you can skewer into Satay and store in refrigerator. 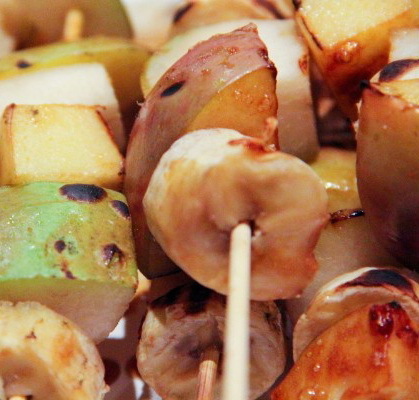 Prepare lots of vegetable and fruit skewer these so that you can instantly carry or eat it. 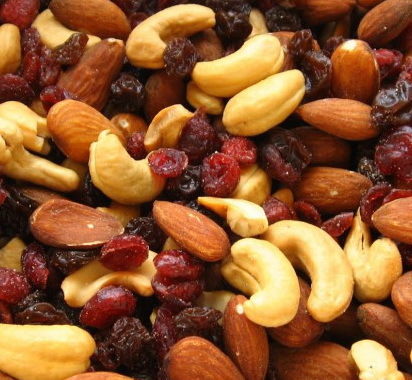 Trail mix snack that is a mixture of dried fruits, nuts, and sometimes with the addition of chocolate. Types of food like this are an ideal snack to diet because of high nutritious vegetables and can increase horsepower. The combination of ingredients is very well made beverages, because it will not make fat body during the use of sugar and salt at this snack is not excessive.